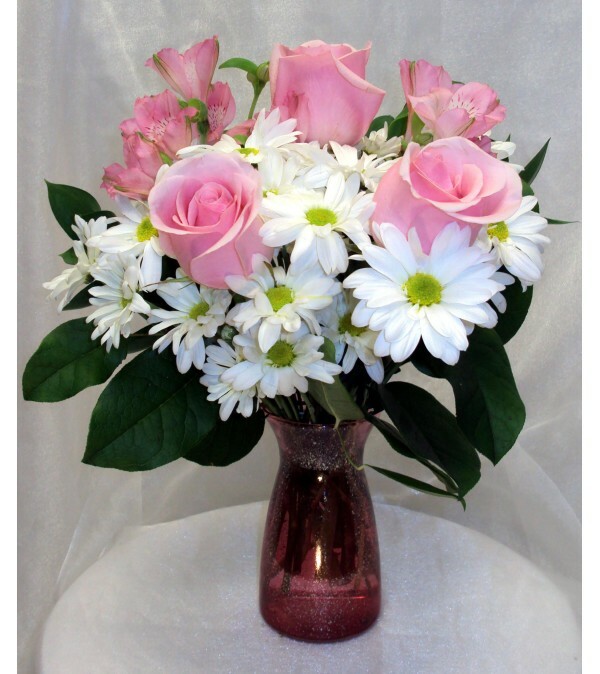 Delicate pink blooms are nestled in a bed of white daisies creating a beautiful arrangement sure to make her blush with delight. 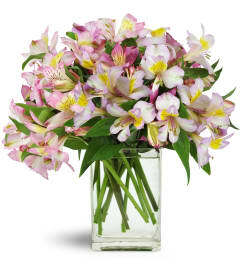 Pink roses, pink alstroemeria and white daisies are combined with lush ruscus and salal. 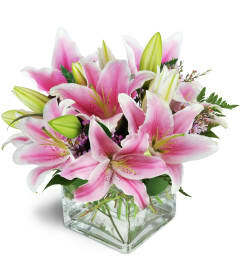 All arranged in a pretty pink mercury vase.